Ganoderma mushroom, luffa, barley leaf and tangerine peel promote balance for the body's struggle for optimum health. They contain polysaccharides and phytochemicals in abundance that provide your body with natural immune system boosters. 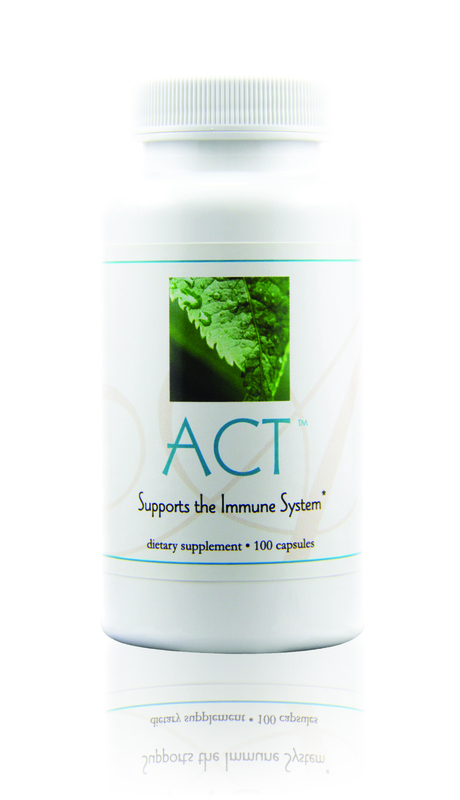 * Activate your immune system with ACT™! A challenged immune system cannot support other body systems, which may become weakened, affecting circulation, digestion and your overall sense of well-being. 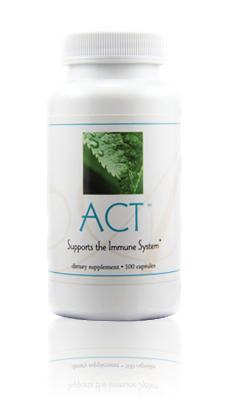 ACT™ combines three herbs traditionally used to support the immune system and scientifically supported to benefit your health. ACT™ helps the immune system clear the body of toxins and harmful invaders and restore proper functions of the digestive and circulatory systems. Better digestion provides more available nutrients for immune defenses. Improved circulation of the blood and lymph help the immune system get rid of its waste products. Less waste products clogging the system leaves room for more oxygen and nutrients for our cells, which translates to more energy for you! Most immune system formulas focus on specific symptoms, with temporary results. Formulated according to the science of Nutritional Immunology, ACT™ provides balanced support for the immune system, achieving lasting results on overall health.